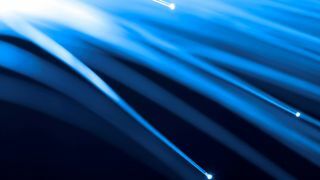 BT Openreach has launched two new high-bandwidth optical services for business users, including a 100Gb/s line, which it claims is the first of its kind available across the UK. The new services allow speeds up to ten times the current capacity for communications providers (CP). A 40Gb/s and 100Gb/s service will be on offer. The solutions are supported by Ciena's 6500 Packet-Optical Platform, which helps firms transfer big volumes of data over large distances, with cost-effective prices. Openreach is targeting the enterprise sector with the superfast transfer speeds, which it believes will cater for businesses that operate high frequency trading or perform synchronous data backup. "As more and more businesses move to high-bandwidth, cloud based services and applications, our CP customers are looking to support them with a much broader range of high-quality connectivity options," said Jon Hurry, MD of Strategy, Commercial, Portfolio & Policy at BT Openreach. "These new optical services from Openreach are future-proof, and they take advantage of BT's unrivalled investment in fibre infrastructure across the UK." The new speeds will be available later this month. Is the UK top of the broadband charts?